I guess I'm sounding kind of old. Before you know it I will be recanting stories of how "when I was a child we had to walk two miles through the snow just to get to school". I'm not quite that bad but I do remember life without cable and having only one television set and that belonged to my dad when he was home. The only remote control he had was the five children he fathered. If we didn't like what was on then we better figure out how to entertain ourselves. I suppose every generation will have their good old days, including this current one. Time marches on, there aint' no stopping it...Really, that isn't such a bad thing. 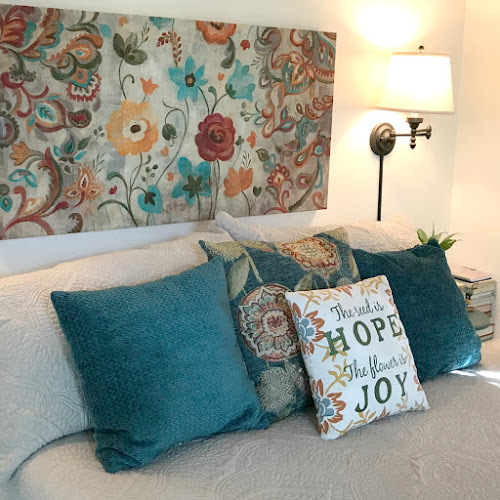 I can't imagine living without the modern cleaning appliances I have in my home...I love my new state of the art sewing machine and the extra television I have in my craft room. Do you remember when making a long distance phone call was billed by the minute? And where would I be without the Internet and my connection to all of you. Thank you all for your wonderfully kind comments on the merchandise I shared with you this week. I thought I would end the give aways with a $25.00 credit to my Etsy shop and let you choose the item of your choice. Remember it won't open until June 1st. If you haven't left a comment on each day you would like a chance to win on, then go ahead and do so. I will leave the comments open until midnight PST Sunday, May 27, 2012. Monday morning I will draw the five winners and post them on Tuesday. If you aren't already following me and you like what you read here, would you mind following? 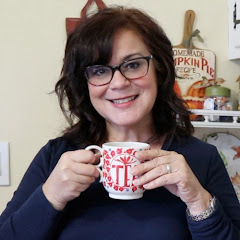 It let's me (and any other blogger) know that what I share resonates with you and brings you encouragement, inspiration or joy...hopefully all three. If you just joined me recently...welcome. I have some garage sales to hit on Saturday and a couple of BBQ's this Memorial Day weekend. I hope you have something fun planned, too. Have a wonderful weekend and I will see you all on Tuesday. I have enjoyed your week of memories . . . Today your Radio Flyer is giving me an idea for my garden . . . Enjoy your weekend . . .
Love your planter wagon, looks fabulous. Re: phones, we had a black rotary dial on a "party line" - the elderly ladies who lived across on the hill would listen to every teenage conversation I had with a boy, and I was always mortified! Haha, I lived to tell about it!!! I would love a credit to your etsy shop. Looking forward to seeing what you have! I would love a wagon to plant in.....fun, fun. I enjoy all of your posts. Your blog is so Welcoming! I am loving your little Radio Flyer planter. Very nice! What a great week this was. Have a lovely weekend! Loving that Radio Flyer palnter!! Looking for one, but they are hard to come by here! 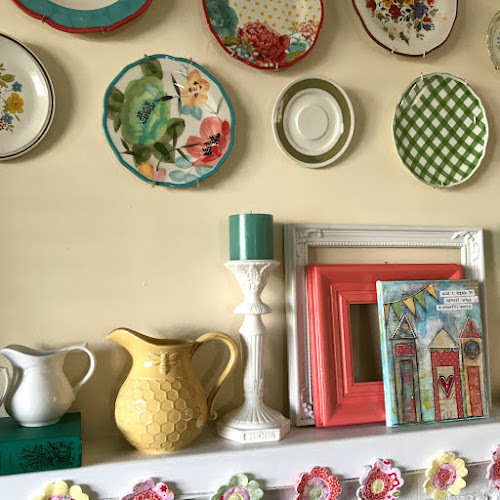 It has been so much fun this week "remembering when" on your blog. Have a wonderful holidy! Ahh! Radio Flyer! My Granny used to drag me around in one of these. Thanks for posting this and giving me that memory back! I can't wait to see you shop! I love the red wagon! If my little one wouldn't pull it away I would do the same! Oh don't you love your wagon? You always make things so darling. Love to come up to your house and see your sweet porch. And yes it is so good to see little boys play BOY games. Quinn talks about him. You will have to bring him over again to play and we will let the chickens run about while we are out there. Isn't looking back fun. Yes, the children today don't know how to creatively play. I was always outdoors, mostly playing alone.....no neighbors. My kids were outside all day as well. My children try really hard to do fun things with their children that isn't connected to an electronic device. Oh how I remember the party line. Can you imagine. It waasn't that long ago that you were charged by the minute for long distance. I think some people still are. What a wonderful giveaway today! I'm looking forward to visiting your Etsy shop. I recently dragged my son's old "bouncing horse" out of storage. My grandkids love him...just the other day my 4 year granddaughter asked for a cowboy hat so she could be a real cowboy! I'll have to tellher about Marshall Dillon! Have a great weekend Patty! We never even had t.v growing up. My dad felt that our time could be spent better on other things, and he loved to take us places and teach us new things. He was the finest man I have ever known. Hope you have a fun, and safe weekend. Looking forward to your etsy shop. Thank you so much for having all these chances to win. I carry the little tote I won from you a while back all the time. Yes we did PLAY a lot more then I THINK, JUMP ROPE JACKS, SAND BOXES, SMALL SWIMMING POOLS THAT NEVER KEPT THE AIR IN. oH sorry caps. LOVE that wagon. Just told my husband last night I wanted one. Thanks for the inspiration. Have a great weekend. It's been fun participating in your 'going down memory lane' week. Things and topics that I had not really considered, enjoying the beautiful photos and reading the comments has been a joy. The items you are giving away are too adorable and I pray you great success in your new endeavors. Have a great weekend my friend. love your little red wagon - i have one too!!! my favorite "olden days" memory is when my now 20 year old daughter said to me one day a couple years ago when referring to a vinyl record album, "mom, what were those old fashioned cd's called?" We are of the same era, so I love your reminiscing! When my four new grandchildren moved into the farm, they ignored the toys and played with wagons, chickens and old buckets. My newest granddaughter is under two and loves the antique pony rocker in my house. Maybe, like your grandson, kids just need to see these things to start having old fashioned fun. I've had a great time this week following and enjoying the memories. Would you believe I've never been a follower on your site. But I have you on my blog list on my site so I'm here every time you post!! I as a Grammie try to bring back some old along with the new games, ideas and fun when the grand kids are over. I sure hope they will have fond memories of my house. I know they will remember my yard for all the help they do, the play and of course the chickens. I'm staying home this weekend but I now will be planting my old wagon for I love yours so much. Thanks for the fun memories!! 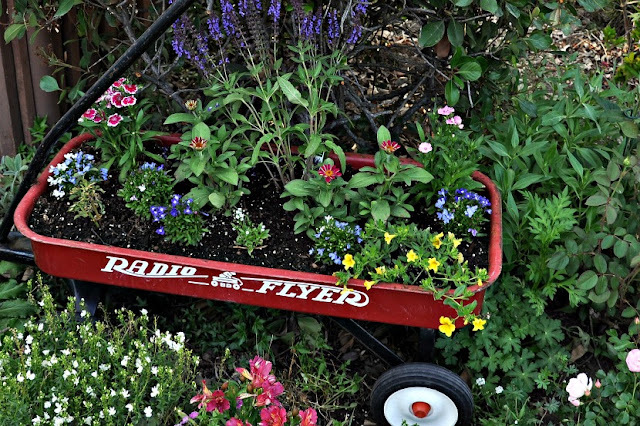 I love the flowers in the wagon! I plan to plant some flowers in an old dresser drawer...we'll see how it turns out! Please consider this my entry for your giveaway! more - have a wonderful weekend. Like you, our grandson lives with us, and he looks to his "Geeps" for modeling too. It is so fun to watch the interaction!!! Have a wonderful weekend. I would love to be one of the winners of your terrific giveaways!! I agree that kids today probably don't play enough games using their imagination. Technology has taken over, I'm afraid! My 11 yr old son is certainly guilty of that. Thank goodness for art class in school and legos at home though. I love this post. Brings back memories of walking 2 miles to school in a snowstorm. Just kidding. But I do remember when we had party lines on the phone. You would pick up the phone to call someone and there were your neighbors talking. I love how your grandson likes to play cowboy. Looking forward to your Etsy shop. I went and got an older phone for our house yesterday. It's push button but connects directly to our land line and uses no electricity. It will come in handy when we get tornadoes down here so I can call my folks and let them know I'm OK cause sometimes I forget to charge my cellphone. One thing we used to do when we were growing up is my parents, my brother and I would play monopoly and 500 rummy on rainy days and on the weekends. We had badminton and lawn darts (remember them) and of course our bicycles with sissy bars. When we were really young we would sit and make mud pies in the driveway. We rode the bus and the only time our mother would take us to school is if we missed the bus and we better not have done that. 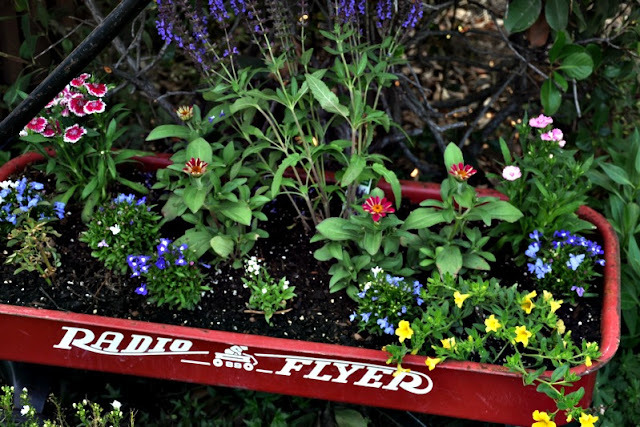 The radio flyer with flowers is so pretty. The only modern appliance I am no fan of is the microwave and right now I do not have one at our yellow house and I am not missing it one bit. I had to chuckle at your memories. I remember getting up to change the channel on our black and white set. Yes, entertaining ourselves without electronics. What a concept. Riding bikes. Playing softball. A board game. Soooo last century. Thanks for the smile! What a pleasure to meet you. 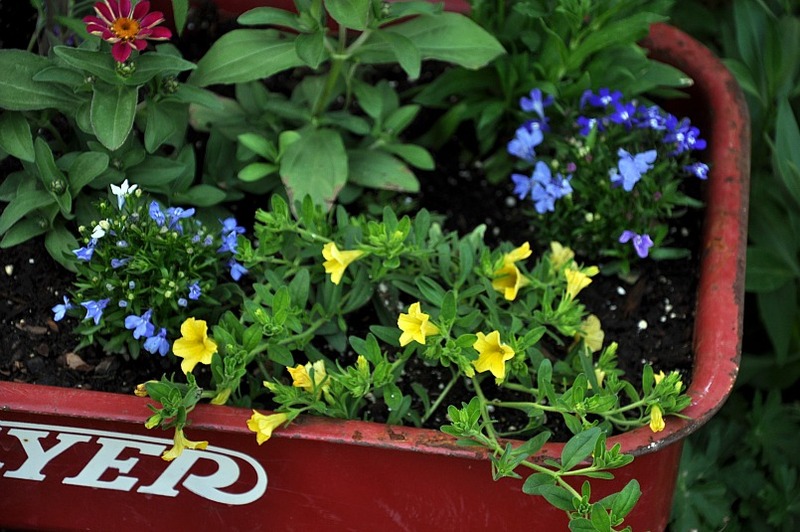 Love your wagon planter. 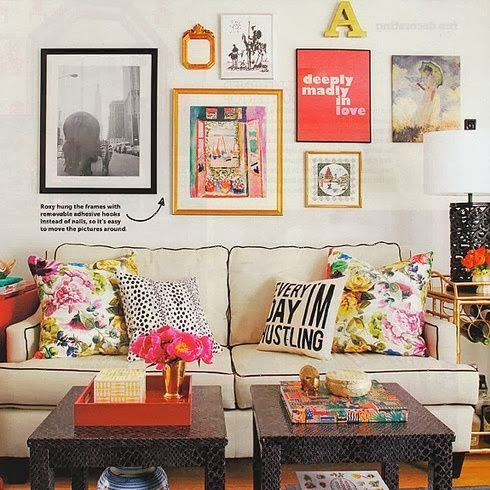 Those yellow flowers ~ I can't think of their name right now... Don't you just love those. They bloom all summer and will even last into the next year. I've had some going on three seasons now. I saw a beautiful one that was purple with a yellow center at Lowe's or Home Depot this past weekend. I wish I had picked one up then. I'll have to go back, but I'm waiting to see what's at the real garden nursery out by the airport. It's quite a drive so those trips are not quite so frequent. Take care, P.S. The dress you showed Monday is fabulous. I loved the fabric you chose. My Son had a wagon like that. Wished we could have kept it. Good Luck on your etsy shop. What a fun week it has been here and that wagon is fabulous! Happy weekend! I love that wagon planter. So cute. I'm a new follower. I HAVE enjoyed this week's post! Enjoy your weekend and your BBQ's...our first Annual Cook~out of the season was last night! What an enjoyable evening! Have a wonderful weekend! I just started following you but I could have sworn I thought I already was...dear me! 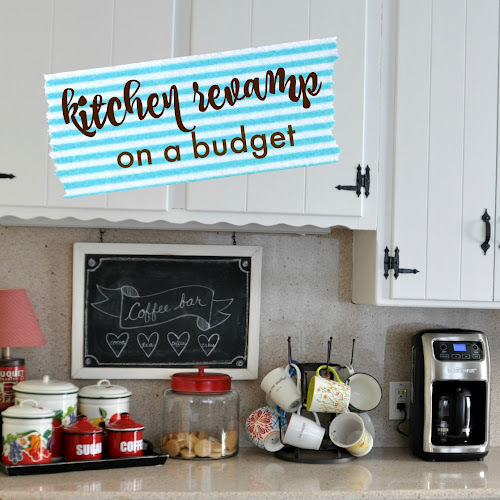 I think it's the familiar faces I see on other blogs and it makes me think I know you already! It's like your own personal, handpicked neighborhood! I love your wagon and your mission for your blog and you satisfy all 3 with me! I'll go back and visit your other postings from this week. I came over from Elaine's. 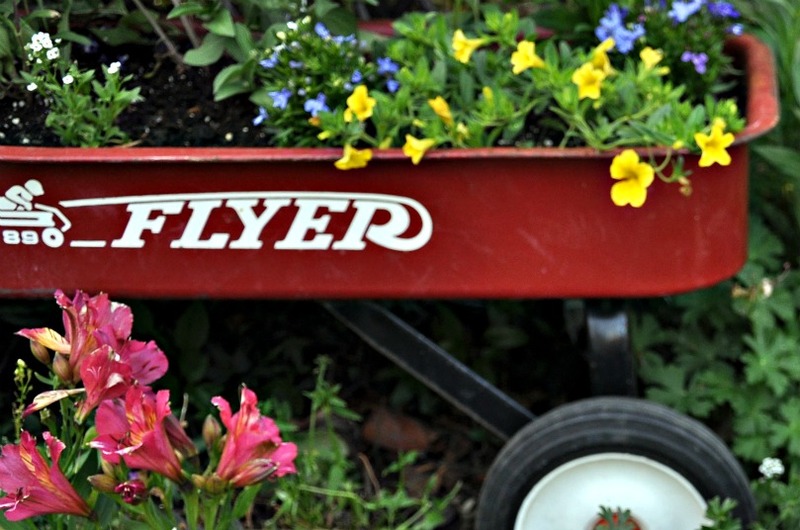 Lovely wagon planter, great series of posts, have a wonderful weekend. Hi Patty ~ I love the red wagon planted with flowers! Can't wait to see your etsy shop, too.